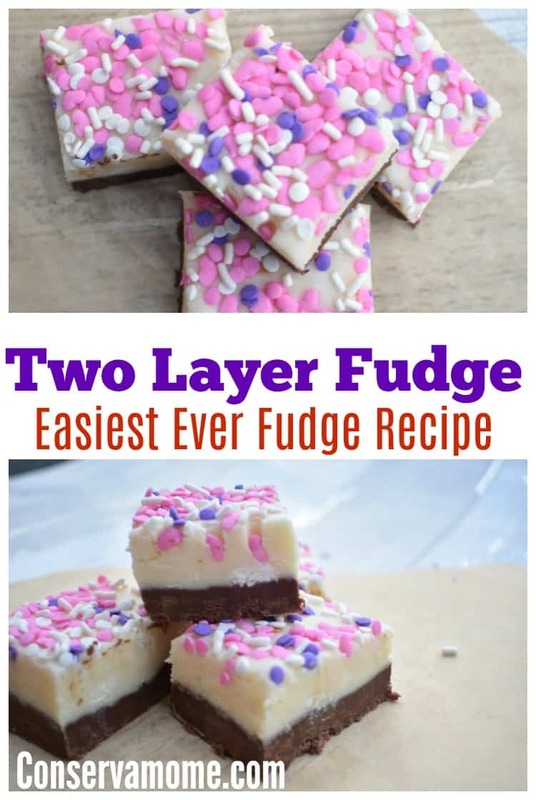 This Two Layer Fudge is the Easiest Ever Fudge Recipe you will ever find. You can change the decorations to fit the Holiday or event of the moment. So easy to make you’ll wonder why you never made this before. 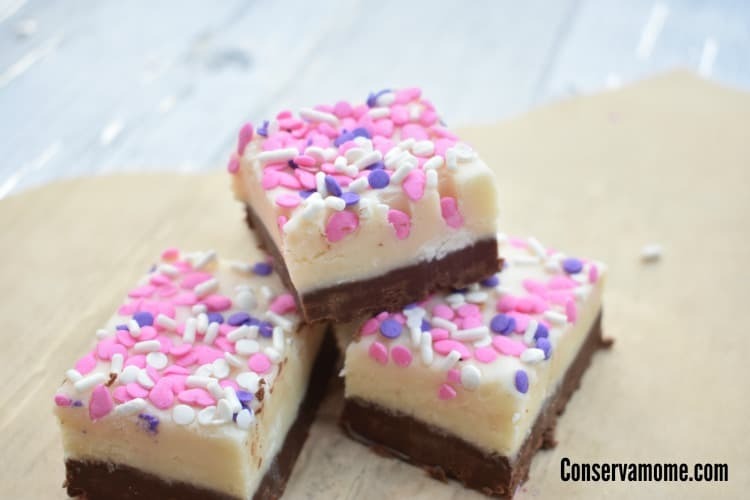 We love fudge. It’s a delicious treat we can’t get enough of in our home. That being said Fudge can be so incredibly tedious to make because of all the stirring, boiling,etc.. 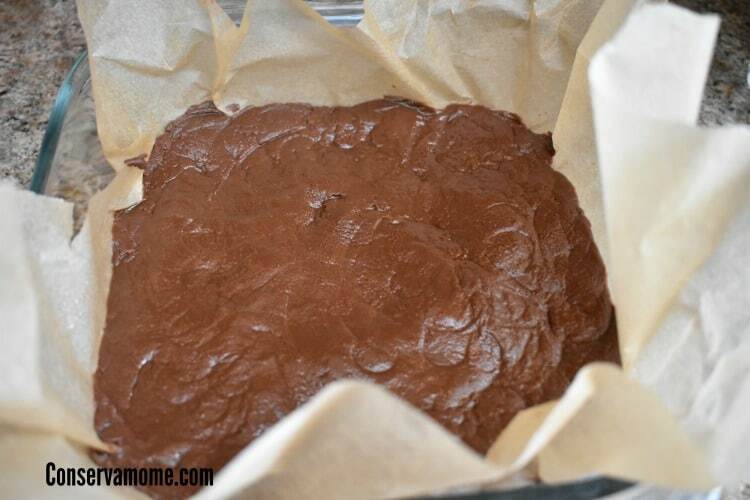 So when I found this easy recipe for fudge years ago it became a staple in our home. 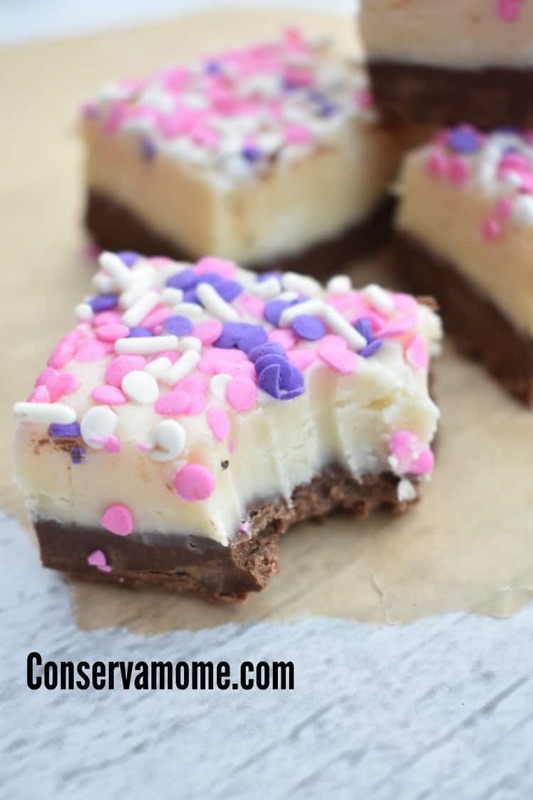 It’s so crazy easy to make your kids can make it (And they have) I did a fun variation for this post that includes pink hearts with purple and white decor in honor of Valentine’s day but frankly this fun and delicious treat can be made for any occasion or holiday. 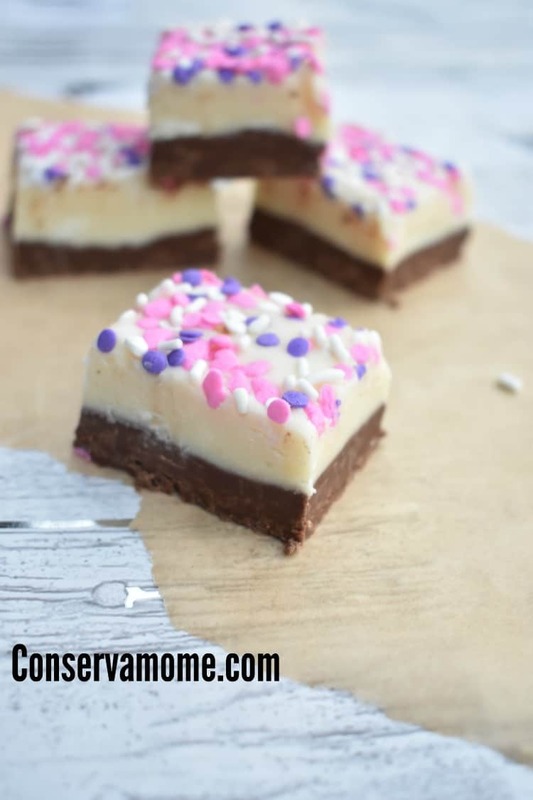 So head below and check out how easy and delicious this recipe can be. 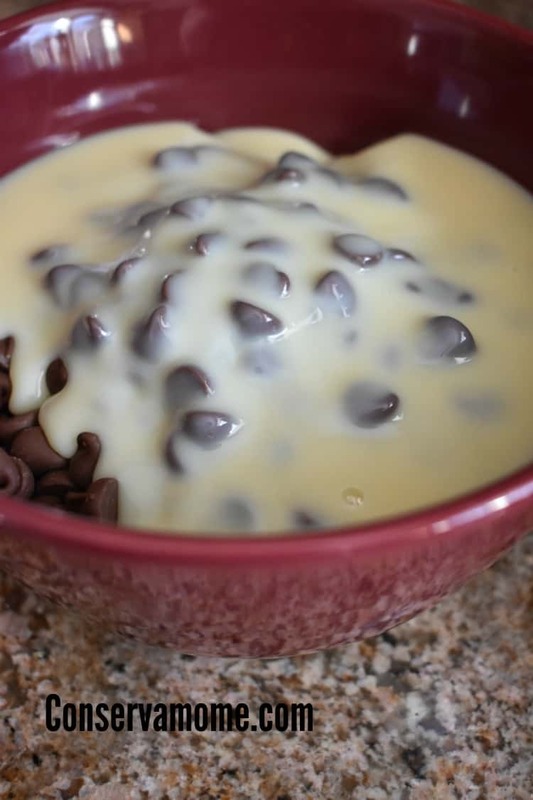 MICROWAVE semi-sweet chocolate and 1/2 cup Condensed milk in medium microwaveable bowl check every 20-30 seconds so as to make sure it doesn’t burn. Stir until chocolate is completely melted. 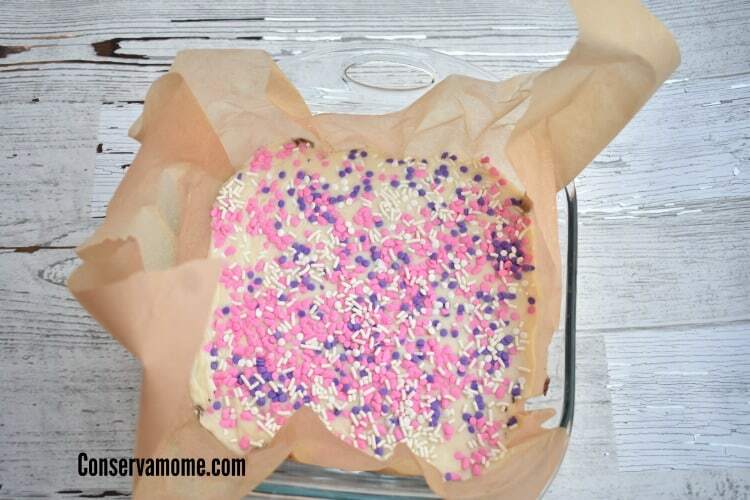 Spread onto bottom of parchment paper lined d 8-inch square pan. 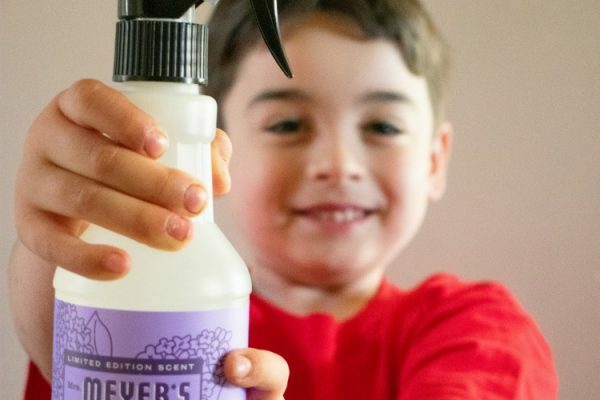 Make sure to spray with a little cooking spray to make sure it slides right out. 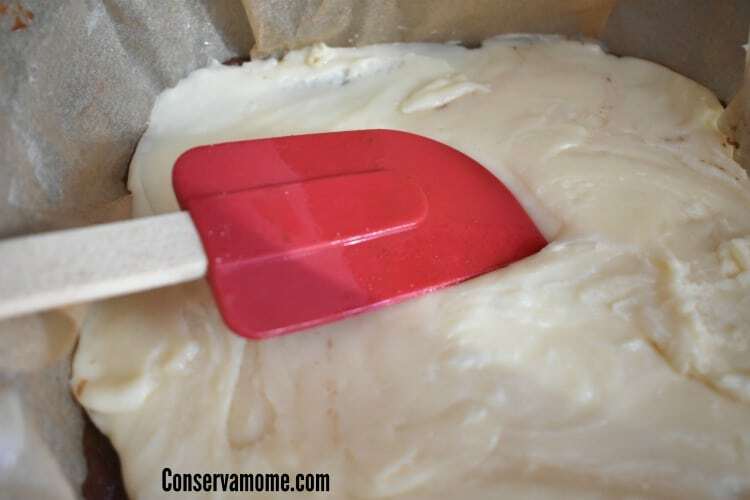 I also suggest you use a rubber spatula because this will get sticky. 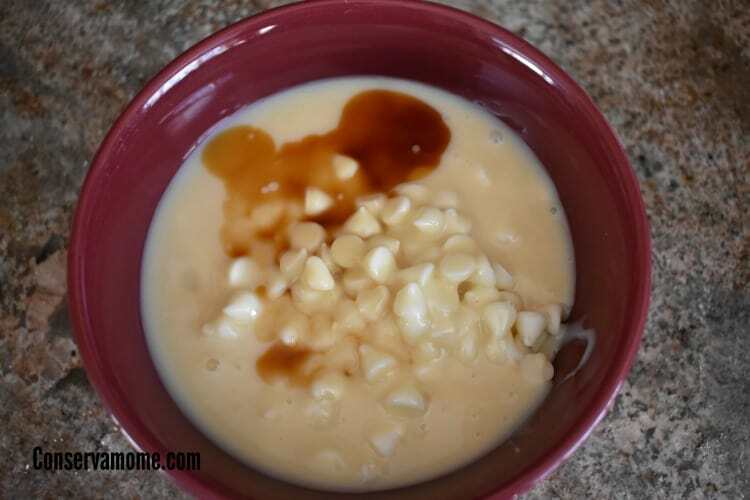 MICROWAVE white chocolate and remaining Condensed milk,pinch of salt,teaspoon of vanilla and tablespoon of milk in medium microwaveable bowl check every 20-30 seconds so as to make sure it doesn’t burn, or until chocolate is almost melted, stirring after 1 min. Stir until chocolate is completely melted. Spread over semi-sweet chocolate layer. Refrigerate 2 hours. 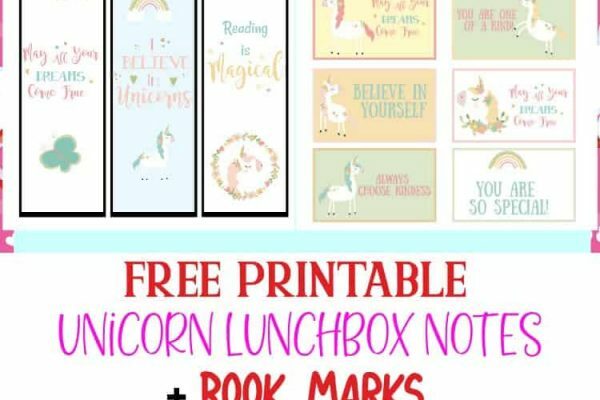 Add any design you would like, I used fun heart sprinkles. 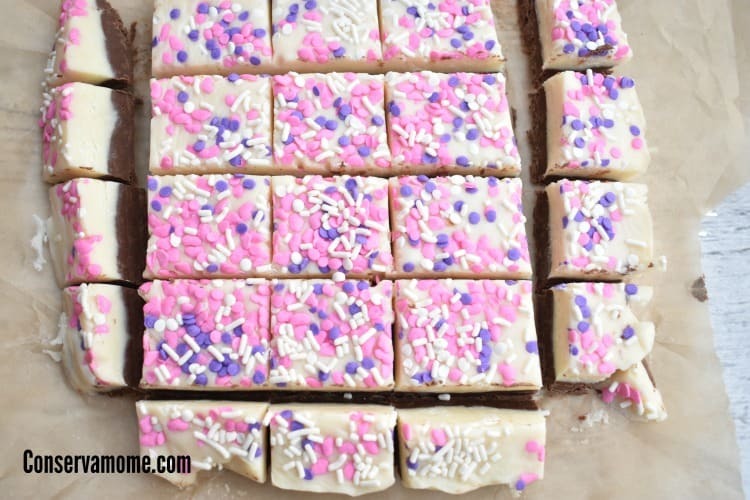 This is seriously the Easiest ever Fudge recipe. Made in minutes and set in hours. This recipe is so delicious and so easy to make you will fall in love and well make it a must have at any event party or pot luck. People will think you spent hours making it and you’ll know it only took minutes! 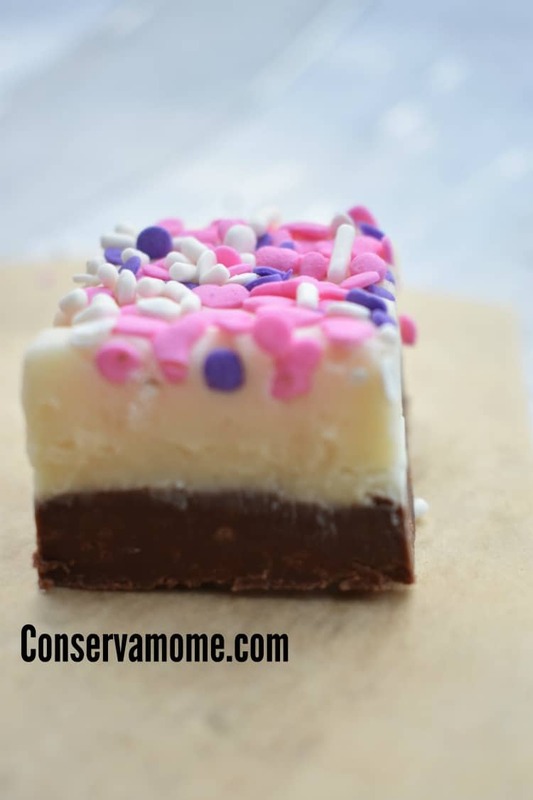 Check it out for yourself and see how delicious this fudge can be! Looking for another heavenly dessert? 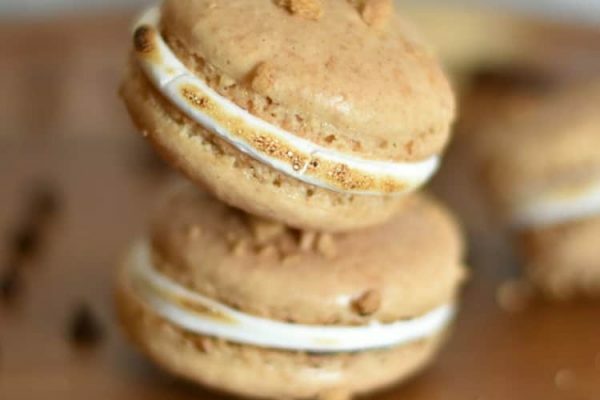 Check out this Carrot Cake Sandwich cookie recipe.